Having already completed five Falcon family rocket launches this year, SpaceX is aiming to double that number by the end of April, with five Falcon 9 missions planned within a one month period starting at the end of March. 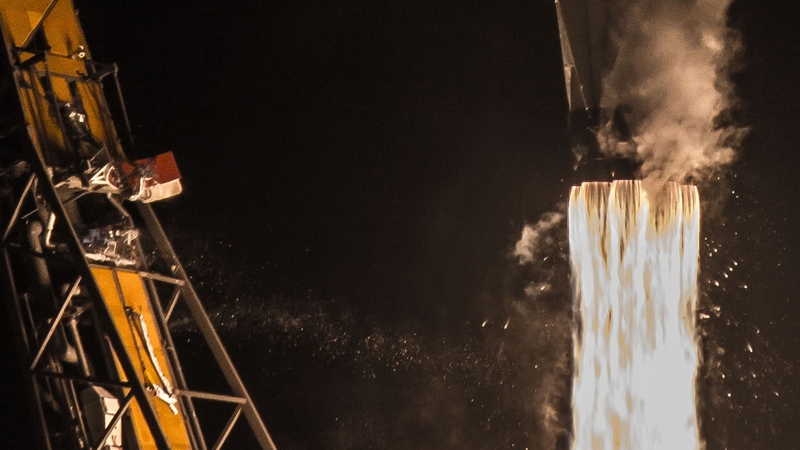 The continuation and ramp up of such a rapid launch cadence is part of the company’s overall goal of achieving approximately 30 Falcon family launches by the end of this year. SpaceX is preparing to significantly ramp up its launch cadence in 2018, aiming to double the total number of missions launched in the first 12 weeks of the year in just a four week period from late-March to late-April. Based on the Range-requested dates submitted by SpaceX to the Cape Canaveral Air Force Station, Florida, and Vandenberg Air Force Base, California, the current plan calls for all five of the upcoming Falcon 9 missions to launch within a one month period, beginning with Iridium NEXT-5 from SLC-4E at Vandenberg Air Force Base, CA, on 29 March at 07:19:49 PDT (10:19:49 EDT; 14:19:49 UTC). This will kick off a busy seven day period for SpaceX, during which the first three of the five planned missions are scheduled to launch. Iridium NEXT-5 will see a new crop of 10 Iridium NEXT satellites for the company’s upgraded orbital communications constellation lofted to orbit on the same Falcon 9 booster that launched the Iridium NEXT-3 mission back in October 2017. Following first stage flight on Iridium NEXT-3, the Falcon 9 first stage, B1041, performed a successful landing on the ASDS Just Read The Instructions drone ship off the southern California coast, returning to the Port of Los Angeles for refurbishment and reflight. B1041 was the first time Iridium used a Block 4 variant of Falcon 9, and its reuse for the upcoming Iridium NEXT-5 mission will be the first time a Block 4 Falcon 9 is reflown. 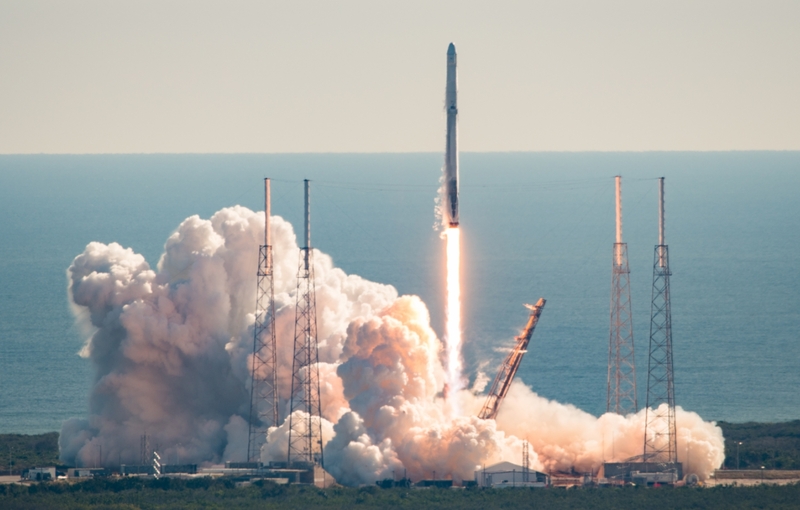 In rapid succession, Iridium NEXT-5 will be followed just four days later by the launch of the CRS-14 Dragon mission to the International Space Station as part of the Commercial Resupply Services contract SpaceX has with NASA. CRS-14 is scheduled to launch from the Cape Canaveral Air Force Station’s SLC-40 pad on NET 2 April at 16:30 EDT (20:30 UTC). 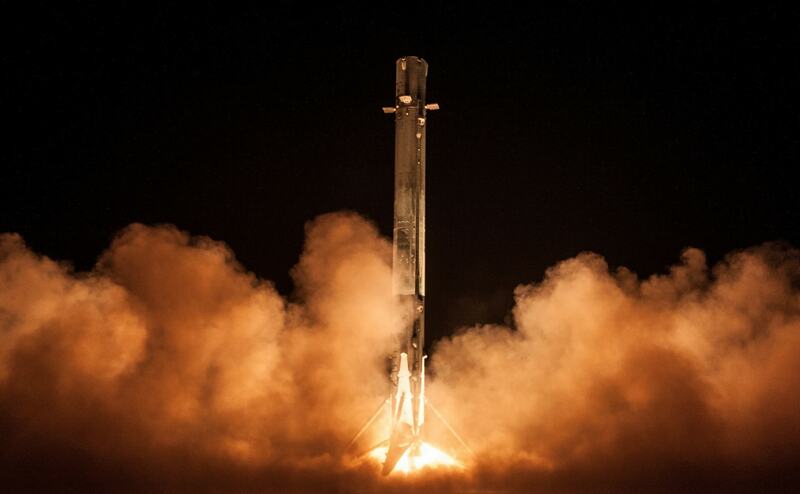 The resupply mission will use a previously flown Dragon capsule and is expected to make use of a flight-proven Falcon 9 booster that has flown only one prior mission on a low-energy LEO (Low Earth Orbit) flight. All of the available Falcon 9 flight-proven boosters for CRS-14 are Block 4s. Impressively, just three days after CRS-14, SpaceX aims to launch again, this time from neighboring pad LC-39A at the Kennedy Space Center with Bangabandhu-1 – Bangladesh’s first satellite. Planned currently for just three days after CRS-14, SpaceX has actually accomplished such a rapid sequence launch cadence in an even shorter timeframe twice before. In June 2017, Bulgariasat and Iridium NEXT-2 launched within 49 hours 15 minutes of each other. Four months later, in October, Iridium NEXT-3 and SES-11/Echostar 105 launched within 58 hours 25 minutes of each other. What will be new here is that Bulgariasat to Iridium NEXT-2 and Iridium NEXT-3 to SES-11/Echostar 105 all took place from different Ranges across the country from each other. CRS-14 to Bangabandhu-1 will take place just 3.6 miles from each other on the same Range. But with no other missions scheduled from the Eastern Range in that period, the 45th Space Wing of the U.S. Air Force will have minimal reconfiguration needs as both missions will fly on Falcon 9s – with the Range technically able to support two Falcon 9s from two pads in just 16-18 hours thanks to Falcon 9’s AFTS (Automated Flight Termination System). 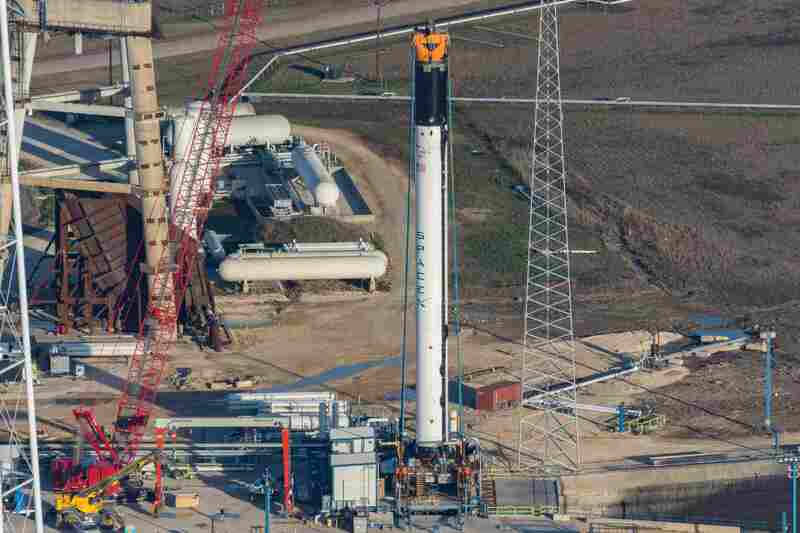 More importantly to Bangabandhu-1, this flight will debut the first Block 5 Falcon 9, B1046 – which is currently at McGregor, Texas, undergoing its hot fire acceptance test before final shipment to the Cape/Kennedy. Given this is the first Block 5 and that a good number of personnel and resources are shared between SLC-40 (CRS-14) and LC-39A (Bangabandhu-1), Bangabnadhu-1 could potentially slip a few days from its planned 5 April target date. But if 5 April holds, Bangabandhu-1 would be the 3rd Falcon 9 to launch in just seven days. Once Bangabandhu-1 and the first Block 5 Falcon 9 have launched, attention will quickly shift back to SLC-40 at the Cape for final preparations for the launch of NASA’s Transiting Exoplanet Survey Satellite (TESS). TESS is scheduled to launch NET 16 April at 18:32 EDT (22:32 UTC) and will bring the total number of Falcon 9 launches in just 18 days to four. Moreover, TESS will launch on Falcon 9 first stage B1045, the last new Block 4 Falcon 9. Impressively, there is still one more flight on the docket for April: the rideshare flight of Iridium NEXT-6 and the twin GRACE-FO (Gravity Recovery and Climate Experiment) satellites owned by NASA and the German Aerospace Center. That mission will launch from SLC-4E at Vandenberg, and while a target date has not yet been announced, it is understood to be aiming for late-April. That date is of course dependent on when the Iridium NEXT-5 mission launches from Vandenberg, how quickly SpaceX can turn around their West Coast launch facility, the readiness of both payloads, and scheduling the launch with the other activities Vandenberg Air Force Base supports for the U.S. government. Whether this mission will use a brand new Falcon 9 or a flight-proven core is currently unknown, but given Iridium’s recent history, it’s possible that the mission will use a flight-proven booster. 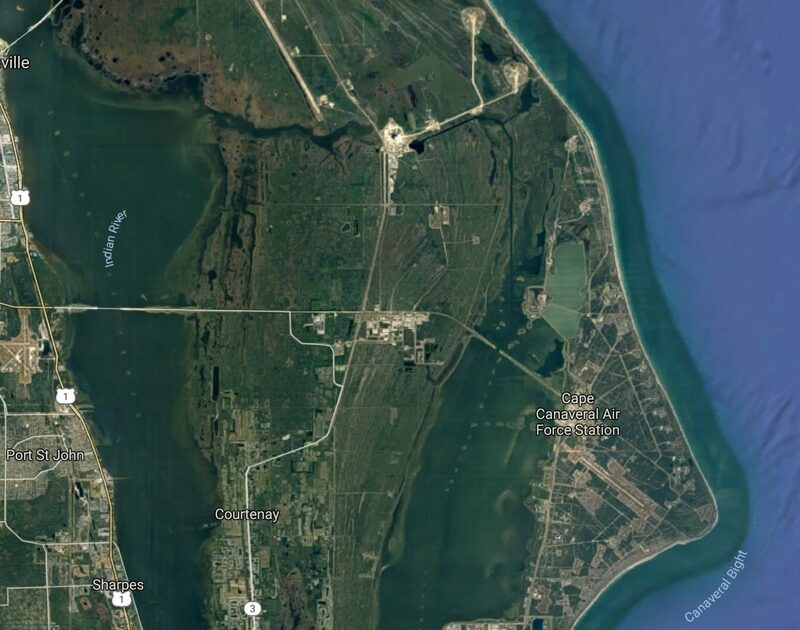 Looking ahead into May and June, SpaceX and the other launch providers that make use of the Eastern Range in Florida will have to work around a planned down period during which no launches can occur. Roughly twice a year, the Eastern Range and the 45th Space Wing of the Air Force schedules a planned period of inactivity during which Eastern Range personnel perform various inspections, upgrades, and maintenance to the Range’s critical support equipment. The Range specifically plans this work and notifies launch providers well in advance of the week or weeks during which the Range will be unavailable so as to ensure that Range equipment functions properly during all launch campaigns. In 2017, there were two Range stand-down periods, one in July and one in December. The stand-down period dates are somewhat flexible given launch provider needs, as was seen in July last year when SpaceX’s Intelsat 35e encountered two ground related computer scrubs and ended up launching the day before the Eastern Range stood down for scheduled maintenance. This year, the first range down period will occur from 29 May to the 8 June.